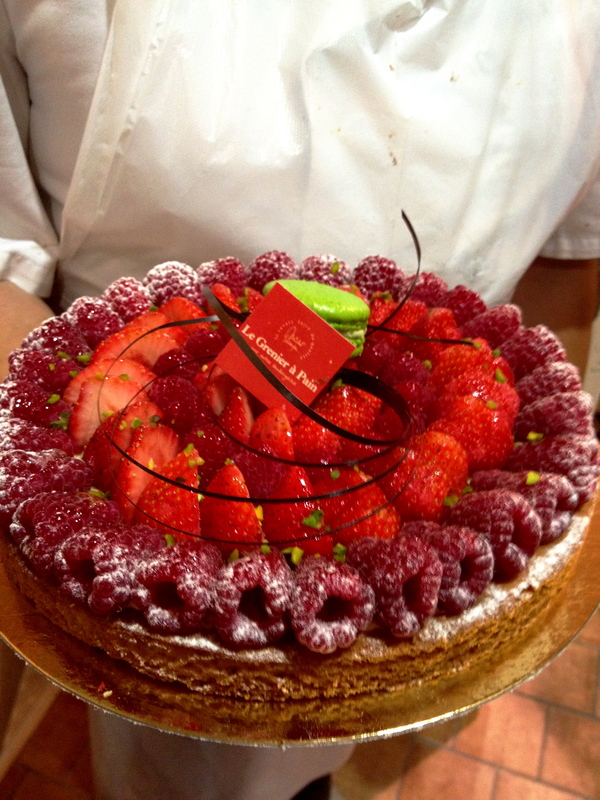 Venture deux in Pastry Chef Patrick’s kitchen at La Grenier a Pain in Sevres, France. 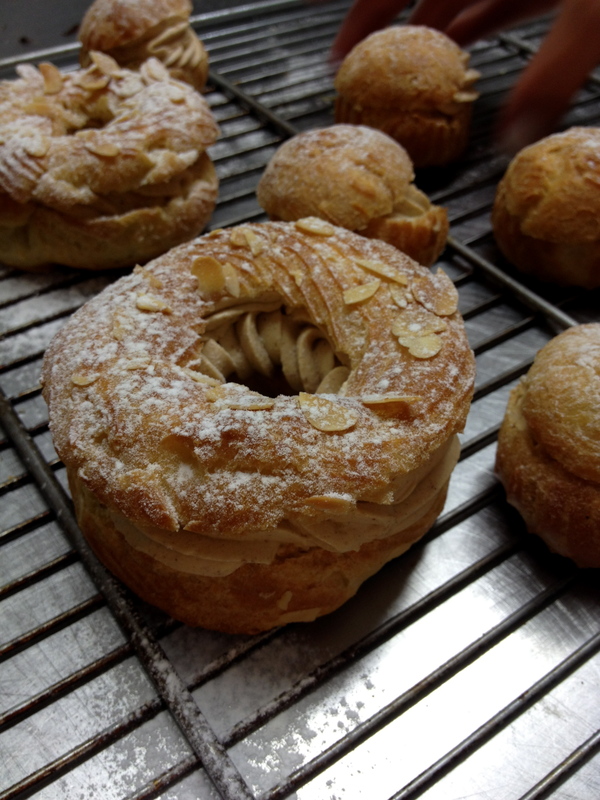 On the menu: Paris Brest with pistachio or praline filling. Corinne informed us that this classic French dessert was invented in 1891 to celebrate the Paris-Brest bicycle race, hence it’s circular, wheel-like shape. Even the French bicyclists are chic: they energize with pastry instead of gatorade and Power Bars. 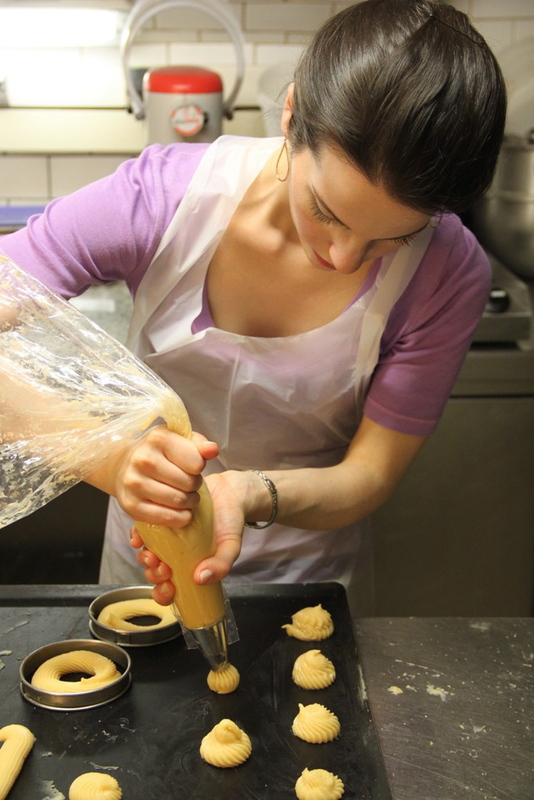 The small dough you see me piping above are for little choux pastry buns commonly used to make profiteroles. 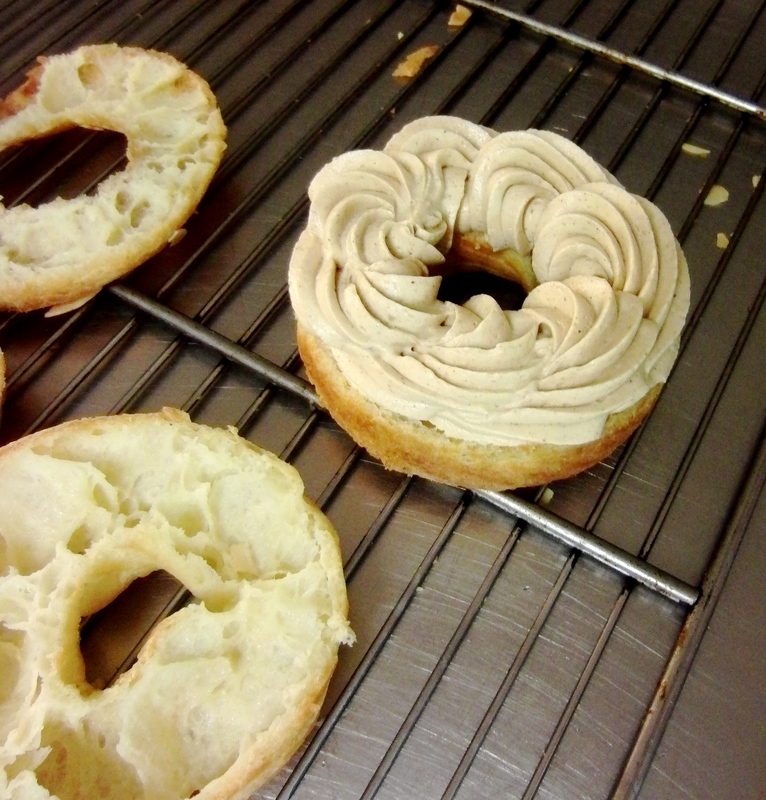 They follow basically the same procedure as Paris Brest but are simply different shapes. More about those later. Practicing my piping. The rings are for the Paris Brest. Recipe: For praline: Place oven rack in middle position and pre-heat to 350 degrees F. Toast hazelnuts in a shallow baking pan until the skins split and nuts are golden, 10-15 minutes. Remove from oven, wrap in a kitchen towel and let steam for 5-10 minutes. Rub hazelnuts to remove loose skins and transfer hazelnuts to small bowl. While the hazelnuts are steaming, toast almonds in the baking pan until golden 5-8 minutes. Add almonds to hazelnuts. Lightly grease pan and set aside. Cook sugar in a dry, small heavy skillet over medium heat, swirling skillet until sugar begins to melt, about 2 minutes. Continue to cook and swirl skillet until sugar is melted into a deep golden caramel, 2-3 minutes more. Remove from heat, and qorking quickly, stir in nuts to coat, then transfer mixture to the greased baking pan. Let stand at room temperature until hardened and cool, about 30 minutes. Transfer praline to a heavy-duty sealable plastic bag and seal the bag. Press out excess air. Coarsely crush praline in bag using a rolling-pin or the bottom of a heavy skillet, then transfer 3/4 to a food processor and puree until it becomes a smooth, creamy consistency, 3-4 minutes. Reserve remaining crushed praline for garnish. For cream filling: Place the milk in a saucepan for medium heat. In a bowl, add one tablespoon of cold milk, the egg yolks, and the sugar, and whisk until smooth. Add the cornstarch and mix to combine. When the milk begins to boil, remove from heat. Very slowly, dribble the hot milk into the yolk mixture, constantly stirring as you go. When about half of the milk has been added, place all of the yolk mixture into the saucepan over medium heat. Use a whisk and stir as it heats. Bring the mixture to a boil for one minute, stirring constantly. The mixture will become thick. Remove from heat and add butter. Let rest at room temperature before chilling for a few hours in the refrigerator. For choux pastry: Pre-heat the oven to 425 degrees F. In a medium pot, combine water, milk, butter, sugar, and salt and bring to a boil. When butter has melted, take off the flame and slowly pour in the flour, stirring constantly. Put the pot back on the flame and continue to stir with a wooden spoon. Knead with spoon until the dough dries out and stops sticking to the sides of the pot. Take off flame. Add eggs one at a time, stirring constantly. 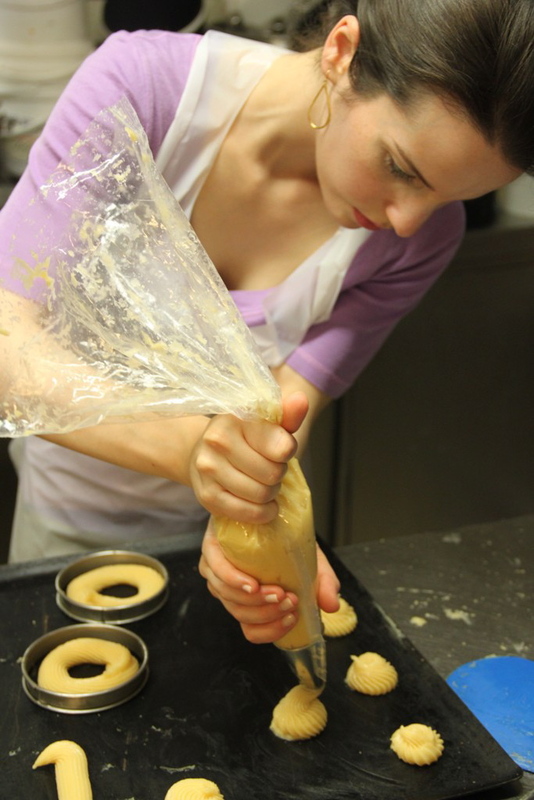 Fill a pastry bag fitted with a plain tip with the batter and pipe 3 concentric rings on a piece of parchment paper. Then pipe two more on top. Bake choux pastry for 10 minutes. Turn oven temperature down to 385 degrees F and bake for another 10-12 minutes with the door open. Transfer pastry on the parchment to a cooling rack and cool completely. 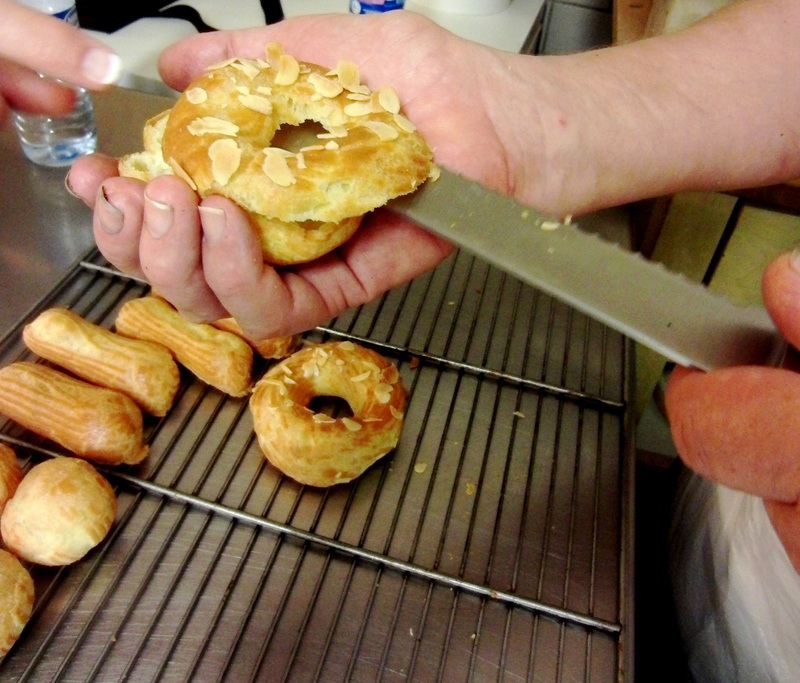 Halve the pastry horizontally with a serrated knife. Remove and discard any wet dough from interior of top and bottom. Transfer hazelnut cream to a pastry bag fitted with star tip and pipe cream decoratively onto bottom half then carefully place top half over it. Sprinkle top with reserved praline and dust with powdered sugar. 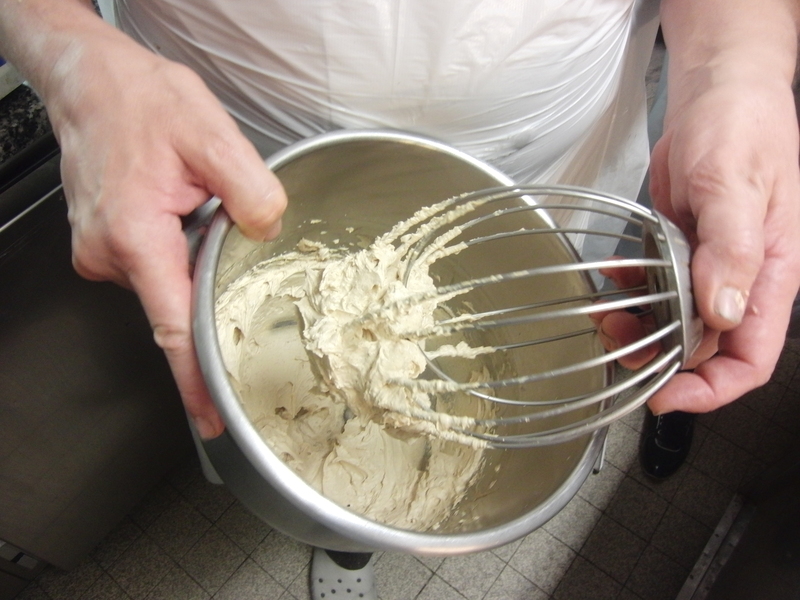 *Cooks note: praline and praline “butter” can be made 2 days ahead. Chill butter in an airtight container and keep remaining praline in an airtight container at room temperature. I love this blog. The travel pictures are captivating, the food delectable and Annalee is so beautiful.